Winter is a dull and dreary time of year for most lawns. Many plants are dormant and do not produce much color to liven up your landscape. However, there are a few winter gems that are worth considering if you want to add some color and life to your winter lawn. And the best part- it smells great! Has a similar fragrance to gardenia or honeysuckle! If you’ve noticed your lawn has been lacking this winter. 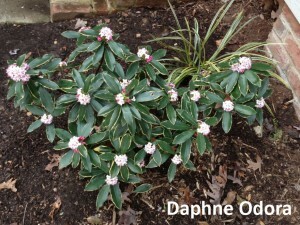 Consider the Daphne Odora or Laten Rose for next winter and put a stop to dreary, bland winters!